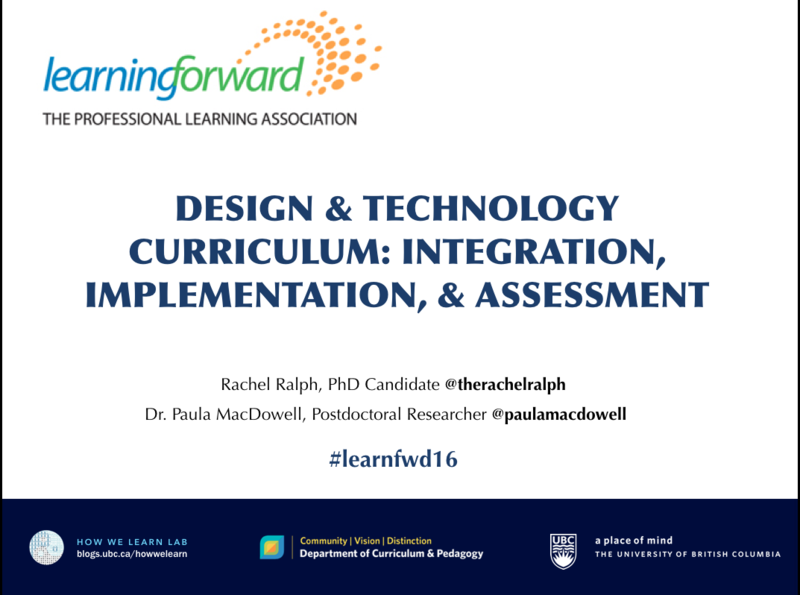 Congrats to the Paula MacDowell & Rachel Ralph for an excellent presentation on Design & Technology Curriculum: Integration, Implementation, and Assessment. 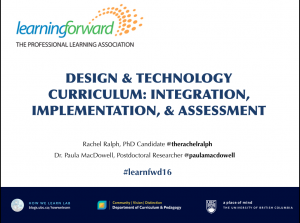 This session was an introduction to a variety of maker education activities for K-12 classrooms and creative pedagogical approaches for integrating applied design, skills, and technology into your current teaching practices. Explore what design and technology curricula are capable of, why they matter, how they contribute to makerspaces, and innovative strategies for assessment. Become versed in a variety of makerspace concepts, including how to turn your current space into a makerspace.